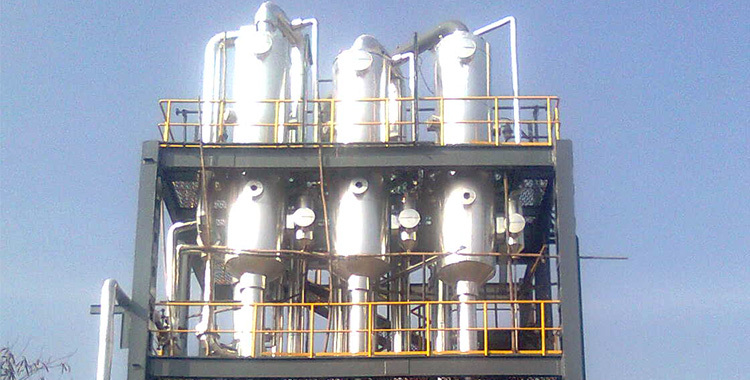 Chem Process’ Forced Circulation Evaporators are normally used for liquids which are prone to fouling, scaling, crystallizing or for those which are inversely soluble or while concentrating thermally de-gradable materials. Here high re-circulation rate allows high liquor velocities through the tubes which help to minimize the buildup of deposits or crystals along the heating surface. 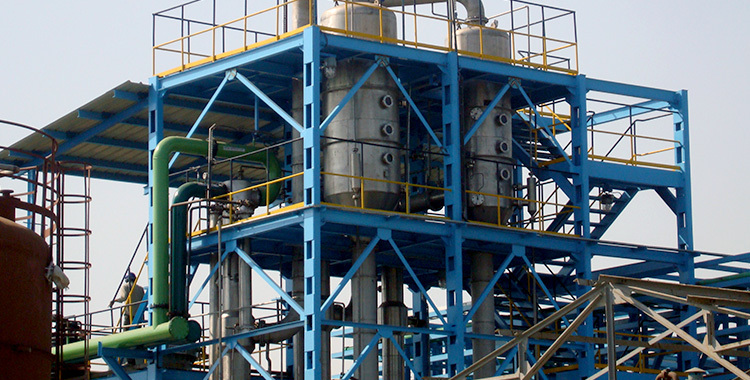 The universal type, preferably used for concentration of solutions containing encrusting substances, hardening agents and un-dissolved solids, and for viscose solutions; also suitable for evaporative crystallization. 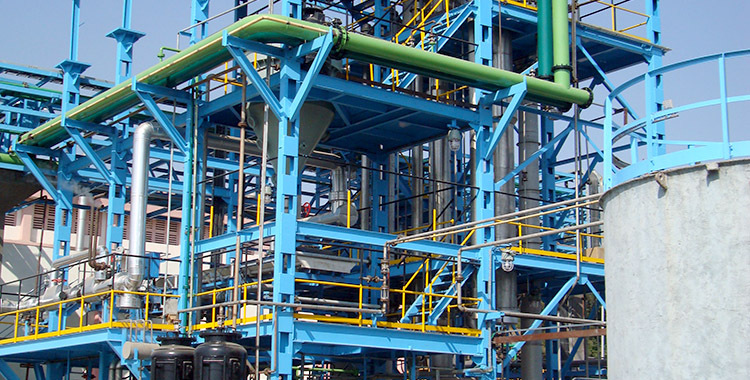 Forced circulation is required when hydrostatic head prevents boiling at the heating surface. A pump can also be used to avoid fouling that is caused by the boiling of liquid on the tubes; the pump suppresses bubble formation. Other problems are that the residing time is undefined and the consumption of steam is very high, but at high temperatures, good circulation is easily achieved. 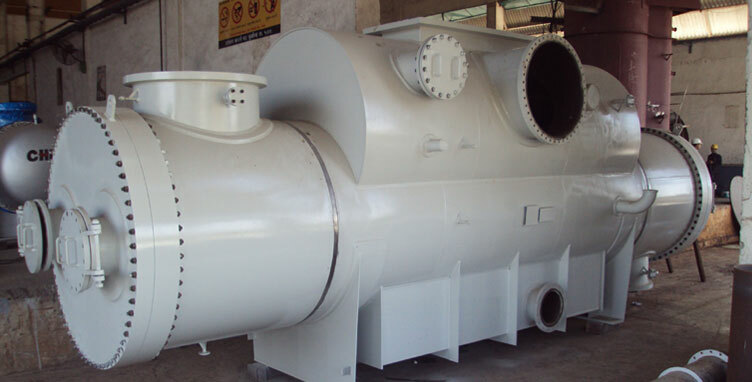 Liquid is circulated at a high rate through the heat exchanger, boiling being prevented within the unit by virtue of a hydrostatic head maintained above the top tube plate. As the liquid enters the separator where the absolute pressure is slightly less than in the tube bundle, the liquid flashes to form vapour.